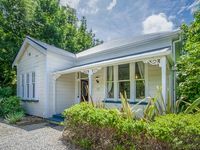 Properties in Picton average 4.5 out of 5 stars. Property 2: Quiet location. 5 minutes walk to town. Property 4: The PICK of PICTON - luxury modern apartment. Property 23: Fantail's Haven - Fantastic private holiday home! 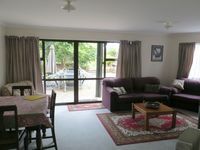 Lovely clean and well equiped home in a nice location close to Picton's town centre. Just note that on some sites it is listed as a 4 bedroom and although there is plenty of room and extra beds available the 4th is actually the second lounge with a pull out sofa bed. The second bathroom is off the sleep out which was available to us on request. The sleep out is also well equiped with a kitchen and bathroom but I'm not sure if this is usually at an extra cost or if it is rented out as seperate accomodation. Overall a lovely place to stay and highly recommended.